My first hour of getting to know Halberstadt, based on the slow walking the streets on the way from the central station to the central area was a big disappointment. Everywhere I was looking on the left and on the right side of the Richard Wagner street, all I was seeing were old style communist blocks of apartments. After beautiful cities like Quedlinburg and Wernigerode, I was ready to take the first HEX regional train to a more pleasant destination. The weather was pleasant though and I still kept the hope to really find out the interesting places that I was supposed to visit during my stay. We walked more, noticing a slight improvement of the urban view: more interesting architecture although the streets remained mostly deserted. It was the day of the European elections, but except some old people walking their dogs, we did not encounter too many beings on the streets. We tried to keep following the arrows guiding us to the historical area, while noticing even more surprising presences hidden in the front of ugly buildings. Sooner, all the grey will be recent history. 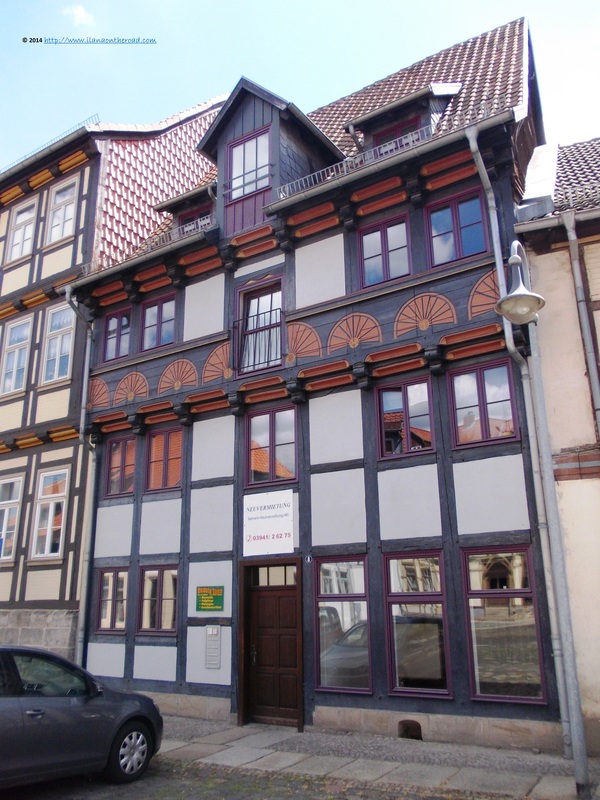 In the rhythm of the classical music, we entered the Gleimhaus, where we started with a contemporary exhibition about the works of the German author and film director Alexander Kluge, and continued with the local literary history. 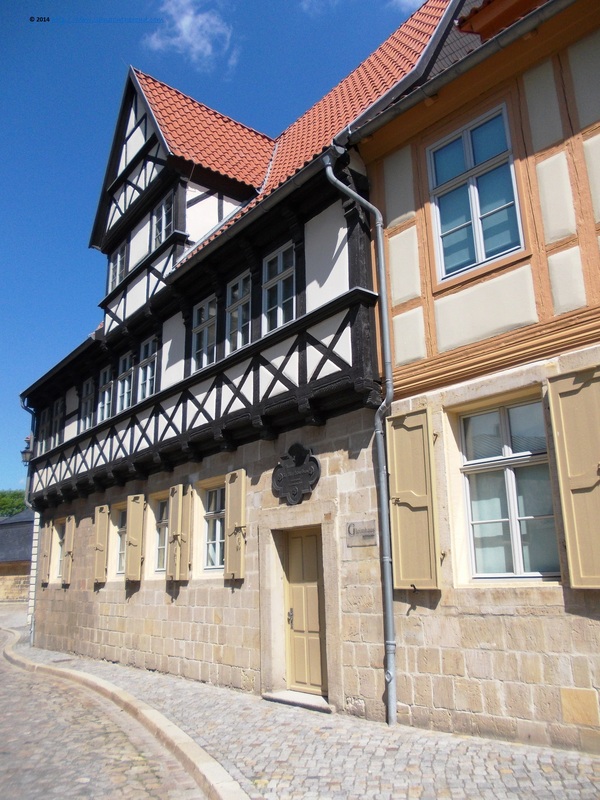 The museum was named after Johann Wilhelm Gleim, a local personality and poet, and literary partner of many German's famous literary personalities like Kleist or Lessing. The 'Freundschaftkreis'/'Circle of friends' that he built up in long years of intensive correspondence are the equivalent of the fast and communication of the social networks nowadays. 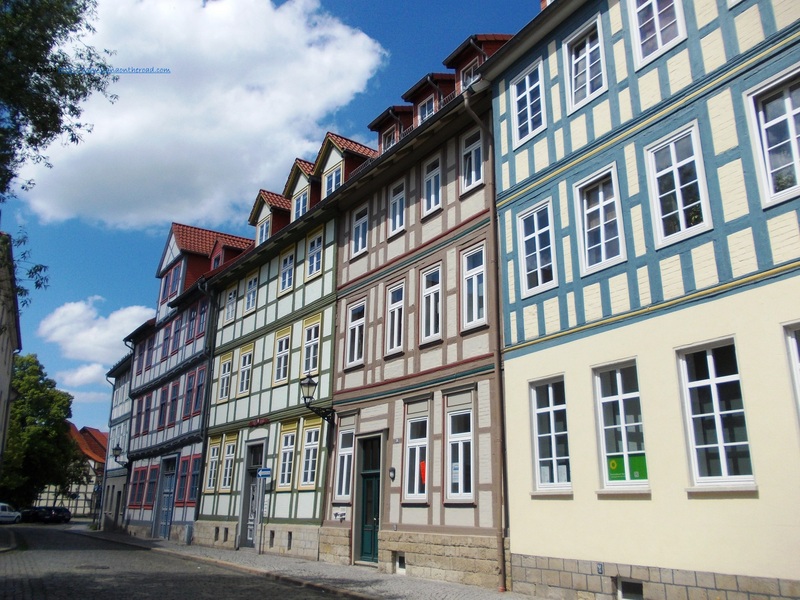 The meeting with the old city streets changed completely my view on Halberstadt, especially after seeing the half-timbered houses, typical feature of the architecture in the Harz mountains. 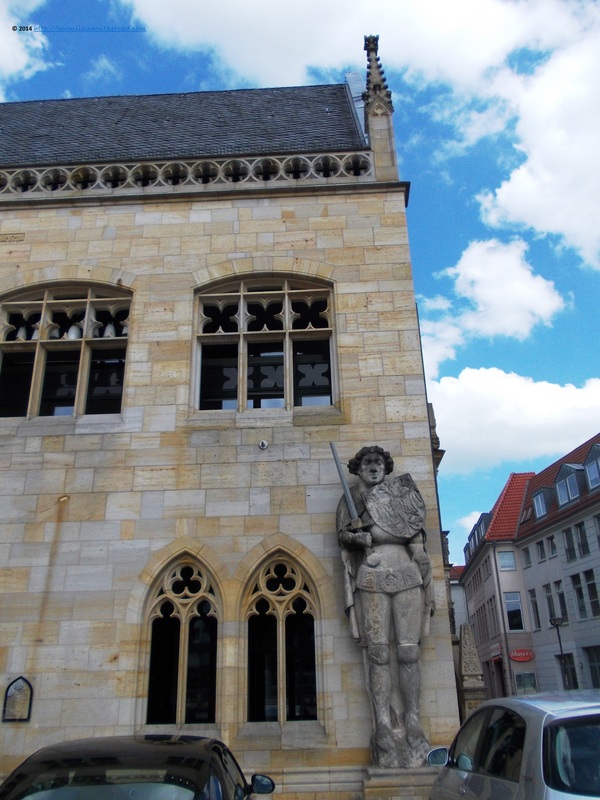 For more information about the area, we stopped next at the city museum, presenting an extensive historical overview of Halberstadt. Here we discovered, for instance, that one of the most famous brands developed here are some special canned 'wurst' produced since the 19th century and still available in the German supermarkets nowadays. 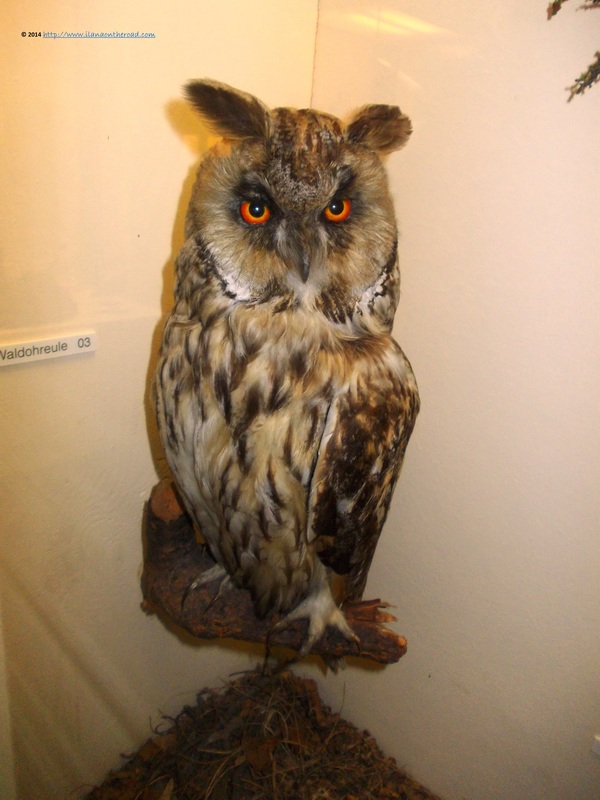 In the same yard, there is a special museum dedicated to the local flora and fauna, where you can also hear the different sounds of the many birds living in the Harz area. Since then, we are more careful listening the sounds uttered by the birds. 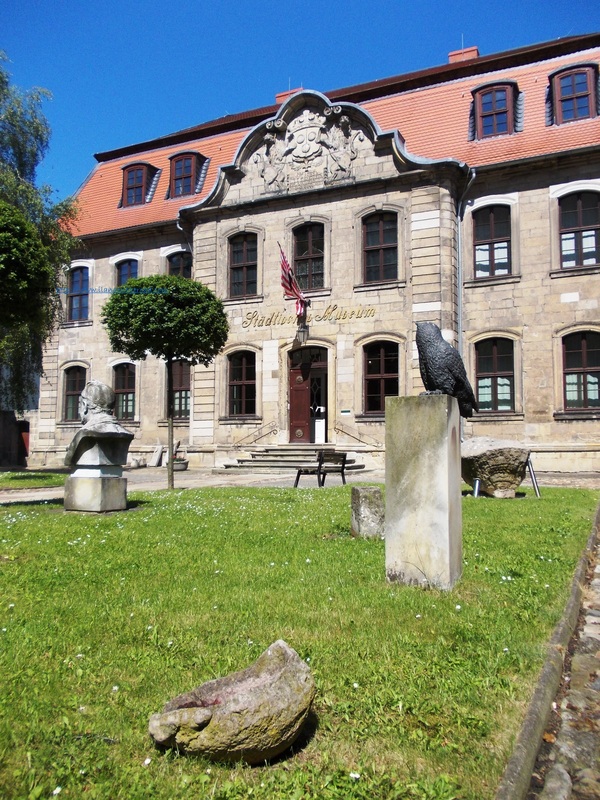 The Domsquare is the main attraction point of the historical center. 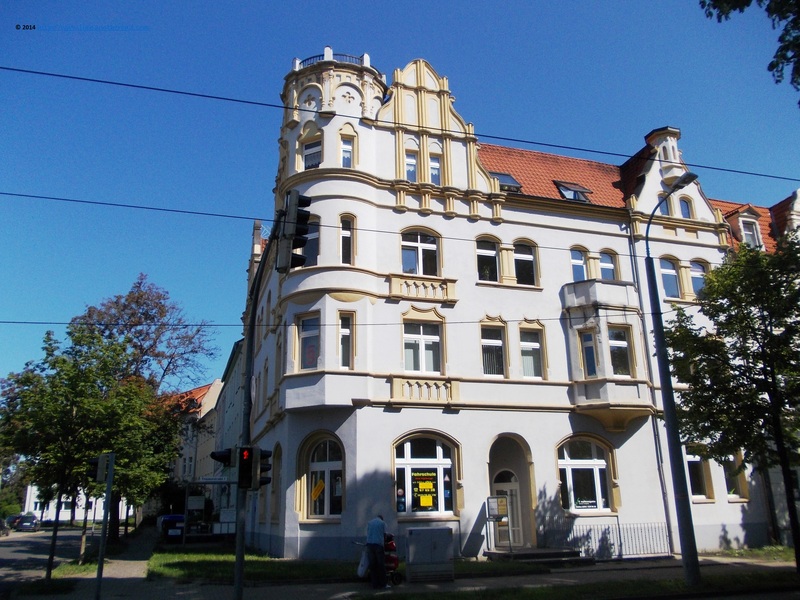 The streets around are offering another views of the historical architecture. 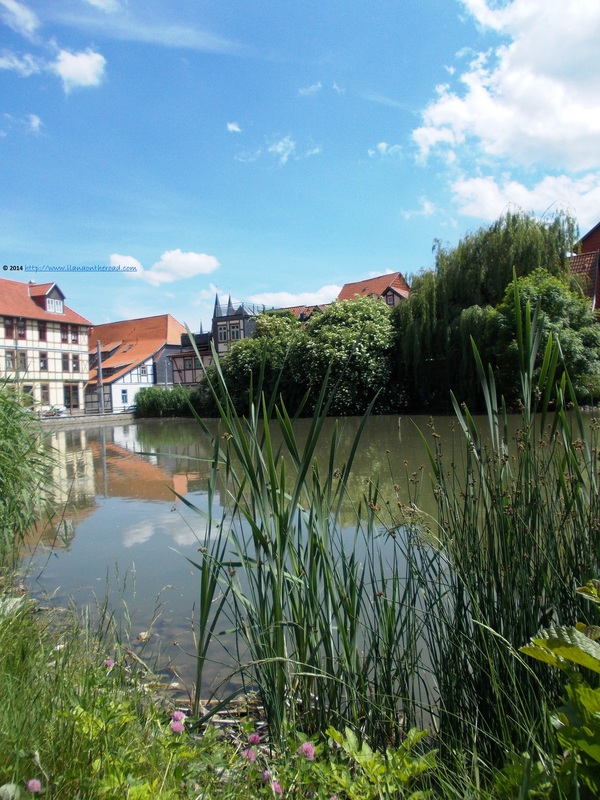 After all, it was wise to not give up Halberstadt and continued to hope that I will see the better days of the city. In the old times, Halberstadt used to have a significant Jewish population that grew permanently since the 17th century, till the WWII. One of the most important personalities was the Rabbi Azriel Hildesheimer who introduced more secular studies in the curricula of the Orthodox learning centers in the German lands. 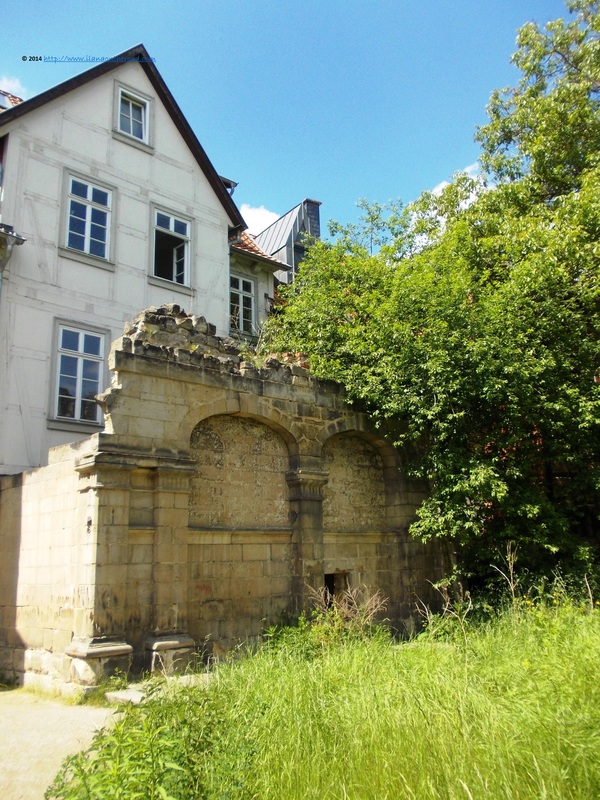 We visited the remains of the Baroque synagogue, built by the banker Issachar Berend Lehmann, destroyed during the infamous Kristallnacht. 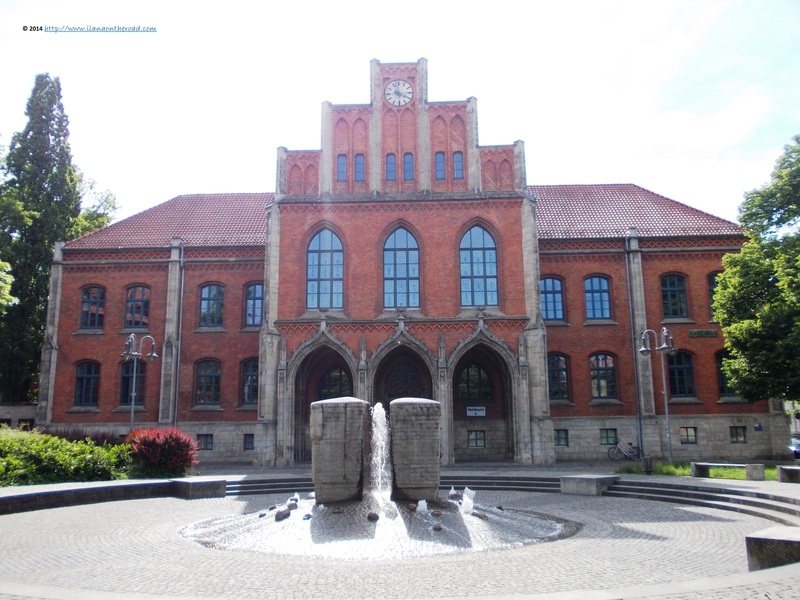 On the other side of the street, there is the Klaus synagogue, nowadays a museum and a documentary center. 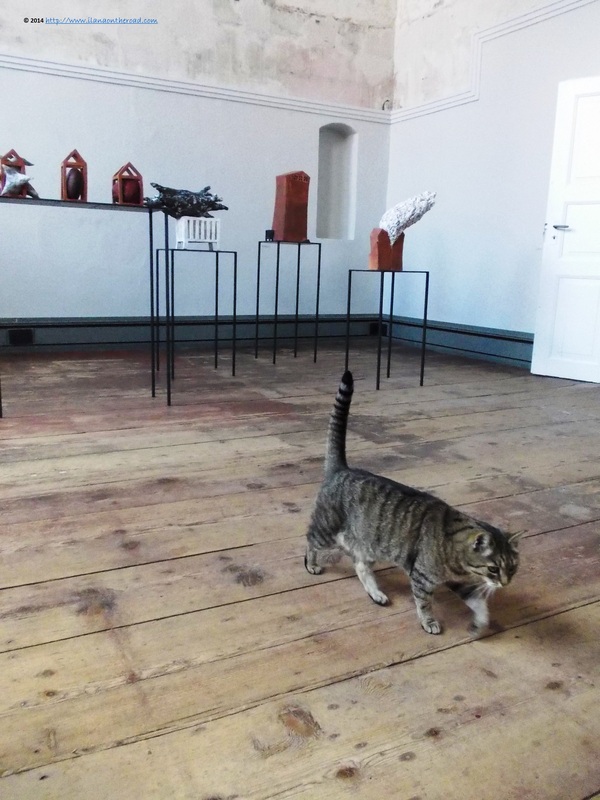 A bold cat, one of the many we encountered on the streets near the former Jewish quarter, followed us till there, and made her way through the objects of Jewish art made by the artist Rachel Kohn. 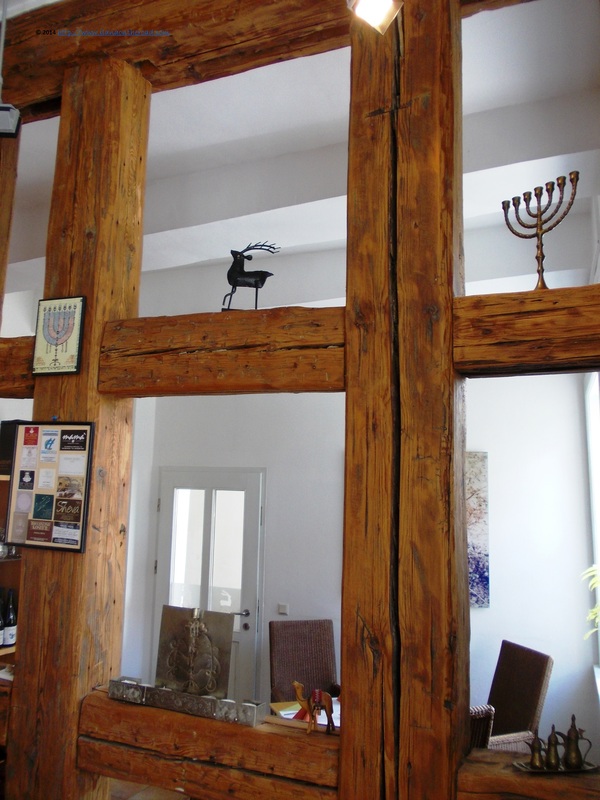 Nowadays, there are no Jews left in Halberstadt, but there is a coffee, Hirsch serving a very fine selection of kosher wines. Named after Aron Hirsch, a local middle class entrepreneurs in the years of glory of the Jewish life, it was created almost 10 years ago. 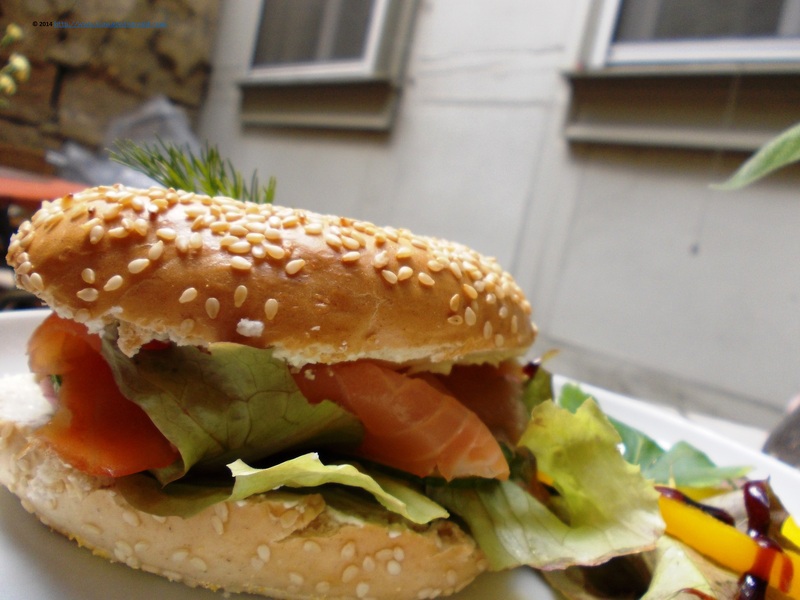 We tried a huge and delicious bagel with salmon, with fresh veggies, while talking with some of the guests about the place and the memories of Jewish life. Regularly, here are hosted concerts, some by Jewish musicians living in Germany. School children are offered from time to time the experience of a 'Jewish breakfast'. 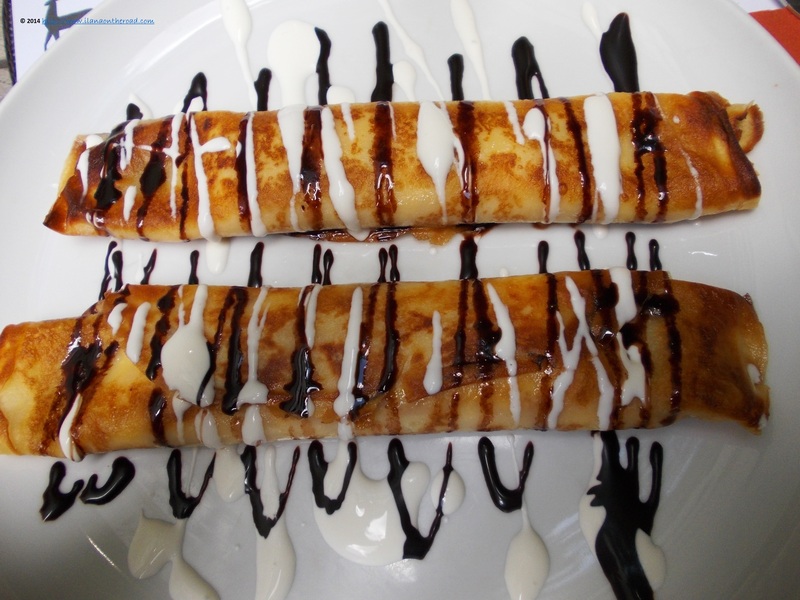 But more interesting than the conversation were the home-made blintzes. 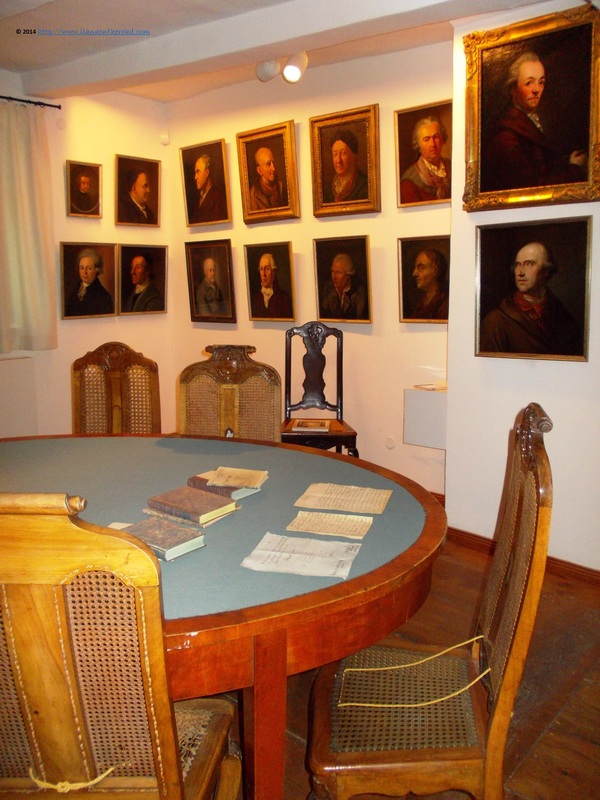 We enjoyed our meals in the small interior garden, with a view to the Berend Lehmann museum. Thereafter, we burnt the calories walking more on the old streets. Even we went sometimes twice on the same street, we didn't bother as the colourful view, sometimes with some lovely cats enjoying the sun, gave a certain feeling of well being. Even though the number of the people out on the streets that we meet after long hours of walking was easy to count on four hands. 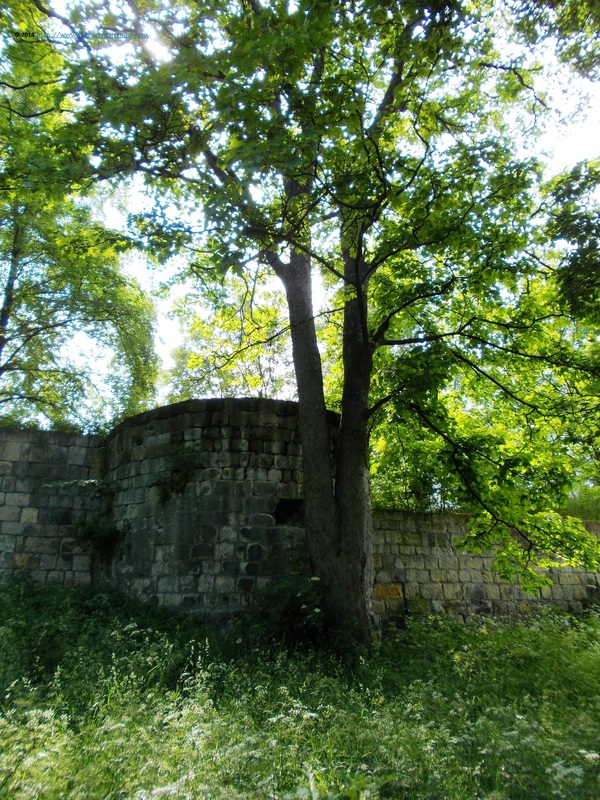 Every time we discovered a new green angle, we realized how wrong we were to misjudge Halberstadt. 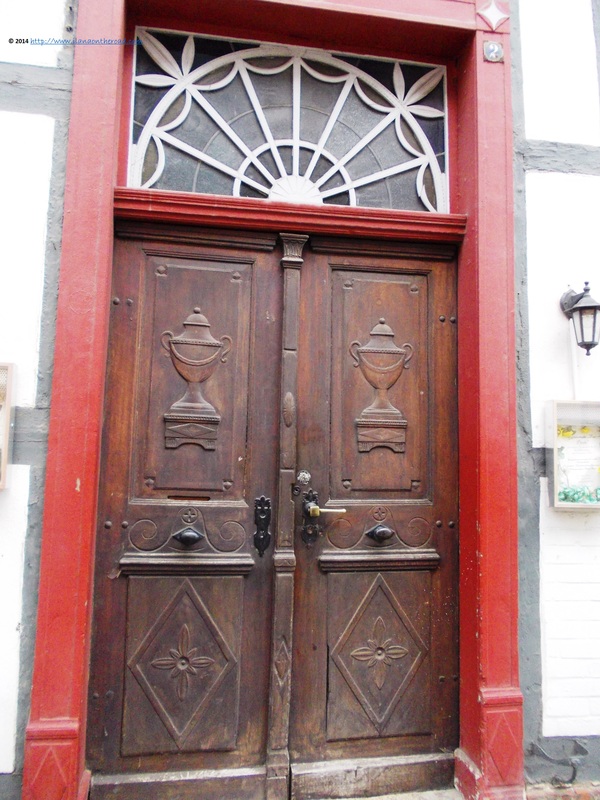 The time seemed to have stop many years ago behind the beautiful wooden doors remained mostly closed. Or at least we wanted to wish it was so. More to the center, the modern life was omni present. 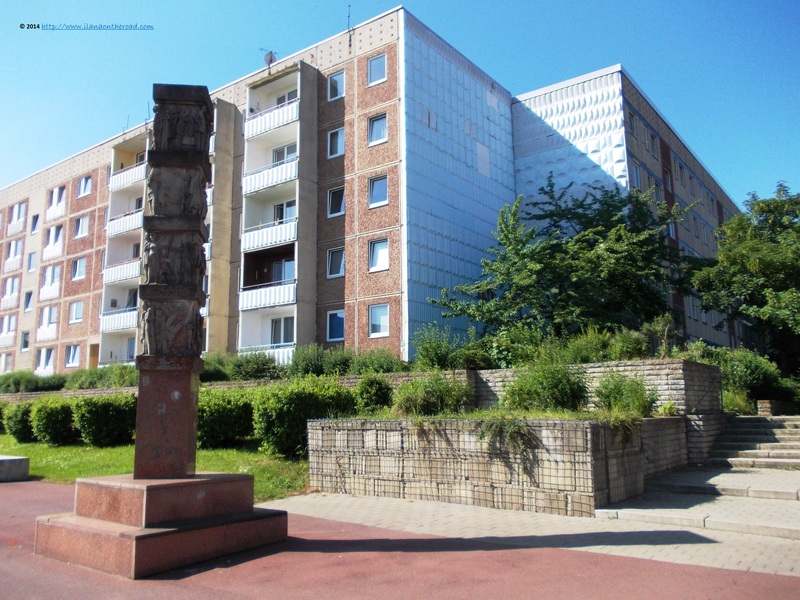 The huge Roland, an usual presence near many German city halls, was a bit trapped near the parked cars, but still big enough to look far into the future and to the Harz mountains. 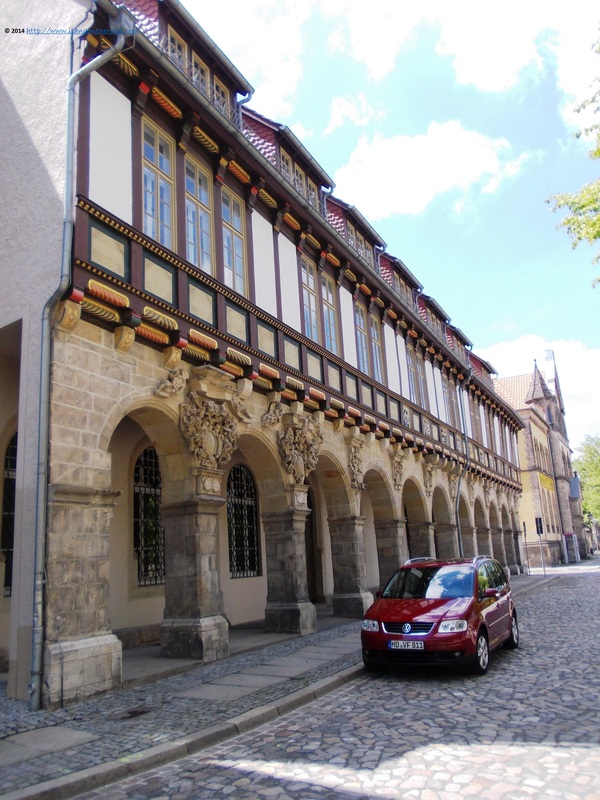 The original townhall was built at the end of the 14th century and destroyed during the war. As most part of the city, it was rebuilt respecting the latest construction plans. 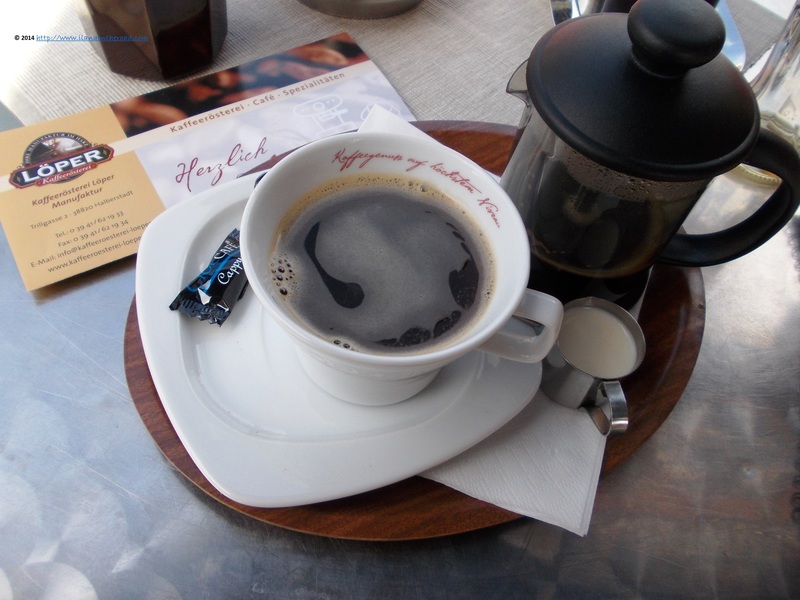 Near the townhall, there are the most coffees and restaurants - mostly Italian, but also Vietnamese -, many open on Sunday. 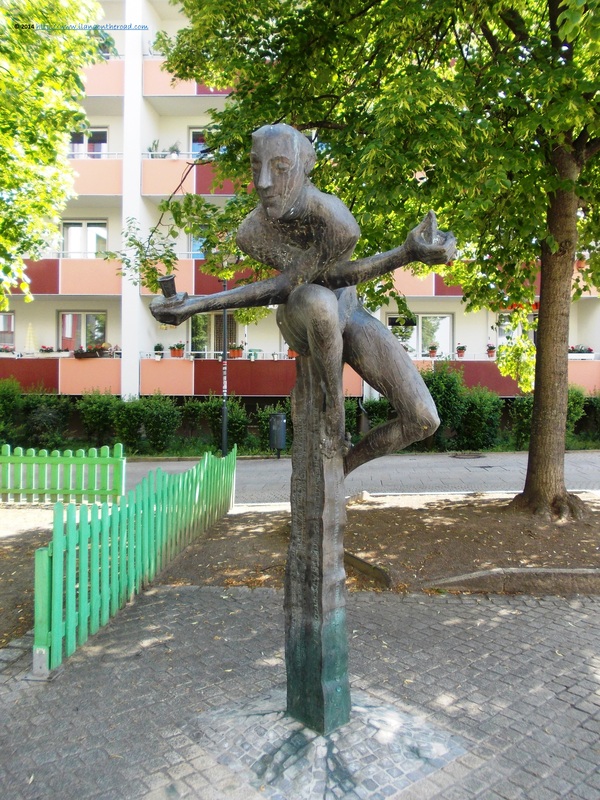 After going near another ugly communist-looking area, we discovered Schutzenstrasse, that goes through a park, near the old city walls. 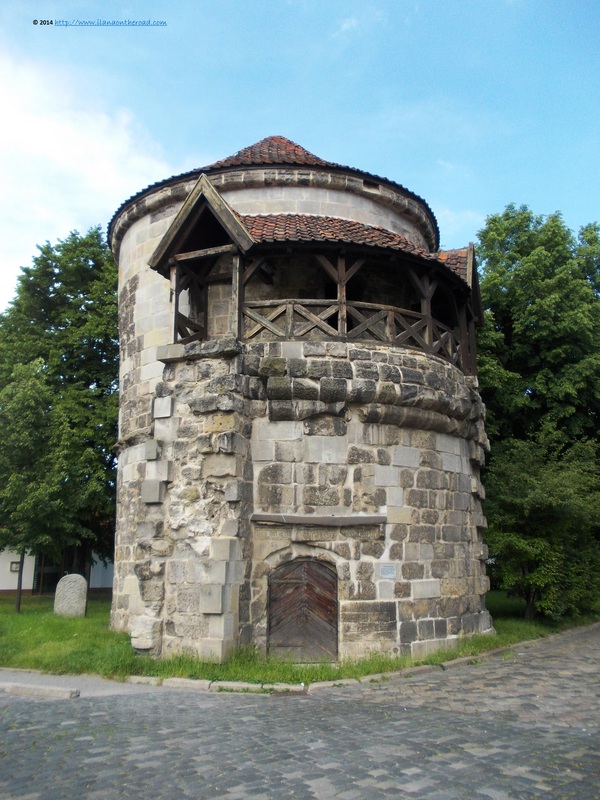 Am Kulk, there is the 15th century old Watertower, the only remainder of the former seven tower bordering the entrance in Halberstadt. 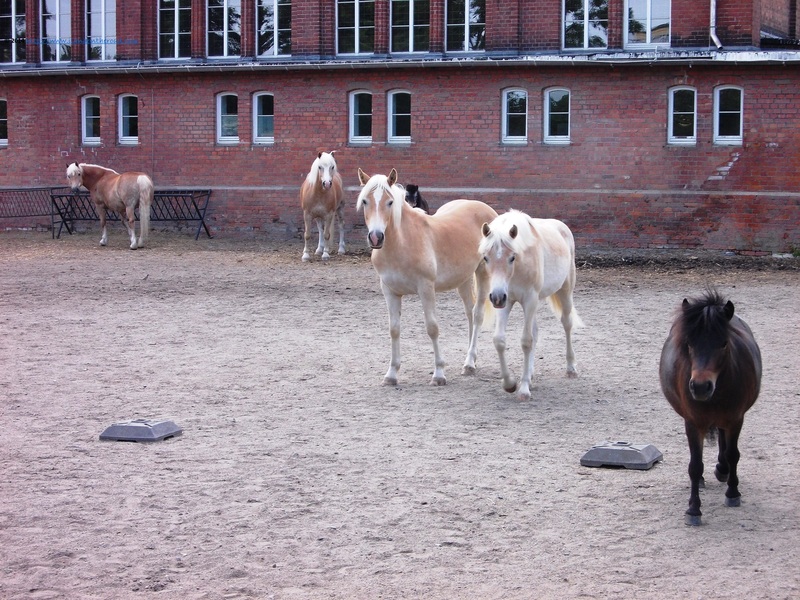 And when we thought we saw it all, we noticed beautiful horses. True is that we previously spotted the usual sign warning the passers by that they might meet horseback presences, but we could not believe our eyes till the actual meeting with the beauties. On the way back to the old city, the only place where it seemed that the European elections mattered was at the section organized within the Martineum Gymnasium, a piece of interesting architecture itself. More people, mostly old, were coming and going through the big gates to express their political opinion. Before returning to the train station, the last coffee stop, at the Loeper, where the delicious Ethiopian coffee brought back the energy consumed during the long hours of walking. Everything looked nice, except the surprise we had when after ordering a Coke and asking a slice of lemon and maybe some ice: we received some lemon juice instead that we were told to add to the glass, and some pieces of fridge snow instead of the ice cubes. But by then, we knew already that Halberstadt is really worth a Sunday visit and we did not bother to argue against the usual Coke table manners. We were taught another good lesson in travel: never made a conclusion about a place only after the first 60 minutes of walking. There might be always something better waiting for you on the next street.